Gain 2 health for each friendly creature. 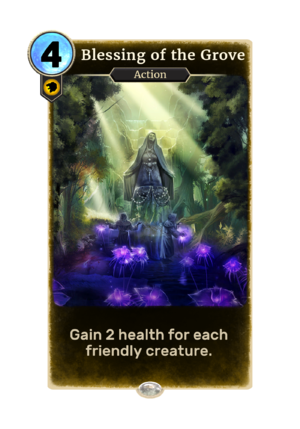 Blessing of the Grove is a common Willpower action card. It is part of the Isle of Madness story set. This card depicts a statue of Mara. This page was last modified on 19 January 2019, at 16:35.